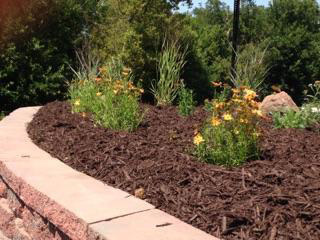 Our premium colored mulch is available in three colors: Natural, Cinnamon, and Chocolate. It's perfect for any landscaping project. If you're remodeling a room, renovating a whole house, or working on a commercial project, we can deliver and pick up a roll off container to your work site. 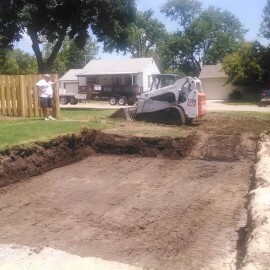 We offer a wide variety of construction and dirt work services - if you need excavating, boring, trenching, or something else - we can help! 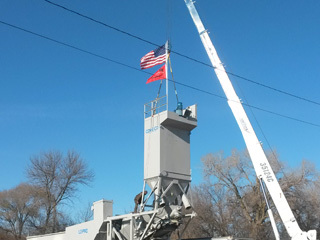 Our crane is perfect for installing a millwright in an elevator, or housing and other building construction. Delivered straight to your home or work site. Short or long term rental. Heavy duty, waterproof, windproof, critter-proof. Containers delivered straight to your home or work site. 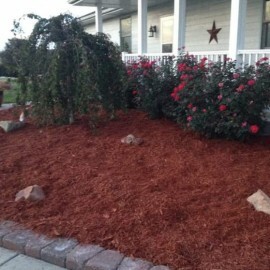 Our premium colored mulch is perfect for your landscaping project. Our bulk mulch is available in three colors: Natural, Cinnamon, and Chocolate. 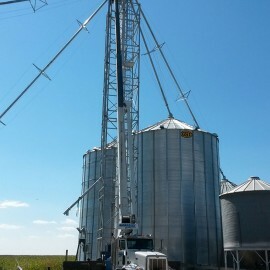 We can deliver it, or you can pick it up! 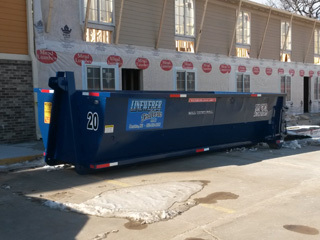 If you’re remodeling a room, renovating a whole house, or working on a commercial project, we can deliver and pick up a roll off dumpster to your work site. We offer a wide variety of construction services for all types of residential and commercial projects. From our 35 ton Manitex crane, Bobcat, directional drill, and hauling services – we can help you with any project, big or small. Call or email us to get a free estimate! We pride ourselves on high-quality work and flexible hours. Did a great job grading and leveling my back yard and patio! Click on one of the photos to the right to see details on one of our recent construction or landscaping projects.